"A Superhero is someone who has extraordinary powers and uses them to help others. A true hero fights evil and protects people, animals and the world." I completely agree with this definition of a superhero! The Herotopia superheros use their powers in the game to fight bullies and help people. 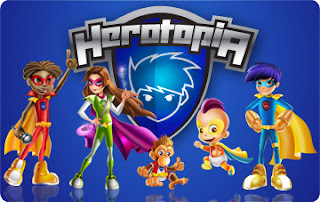 "In Herotopia, boys and girls can customize their very own superhero, design their ultimate Secret Hideout, play more than 25 minigames, make friends, go on 25 Missions, earn exclusive rewards, and discover fun facts about cities and cultures around the world, including the major cities of New York, Paris and Beijing. Created by a husband and wife team, the mission of Herotopia is to empower kids to be heroes both in the online world and in the real world." One of the cutest and my favorite characters are Smighties. Smighties are the "small but mightiest heroes in the universe." 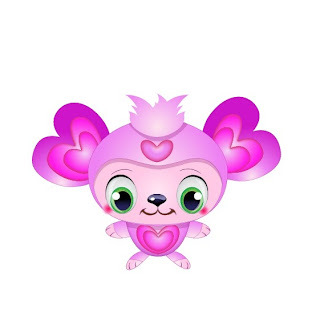 In the Herotopia online world, kids can rescue, collect and care for the Smighties creatures. Each Smighty has a special superpower and weakness. The game is designed completely kid friendly and keeps kids engaged in a educational superhero gaming environment. I fully recommend Herotopia. Check it out here or at www.herotopia.com.